A key element in Imogen Cunningham’s photography practice was interaction with fellow artists. This began during her years in Edward Curtis’s Seattle portrait studio, and endured through her many decades of work. After leaving Seattle, Cunningham lived and worked in San Francisco, where she forged a close friendship with American sculptor Ruth Asawa. 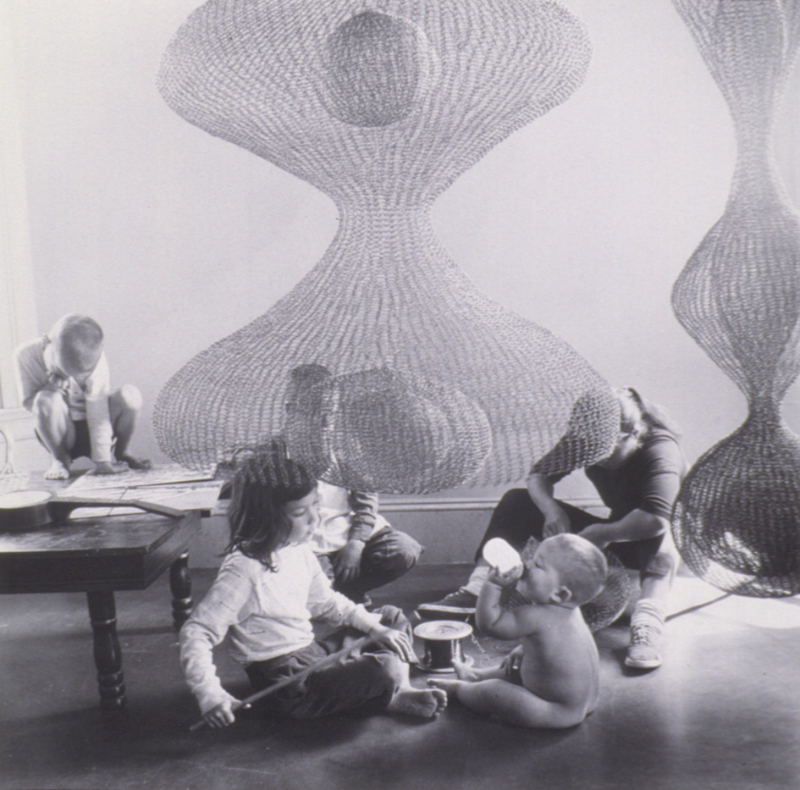 Asawa’s woven, hanging sculptures figure prominently in Cunningham’s photographs from the 1950s, recurring motifs that are now associated nearly as closely with Cunningham as they are with Asawa. Ruth Asawa Family and Sculpture, 1957, Imogen Cunningham (American, 1883-1976), gelatin silver print, 10 3/8 x 10 3/8 in., Gift of John H. Hauberg, 89.43, © (1957), 2009 Imogen Cunningham Trust. Not currently on view, but accessible at www.seattleartmuseum.org/emuseum.